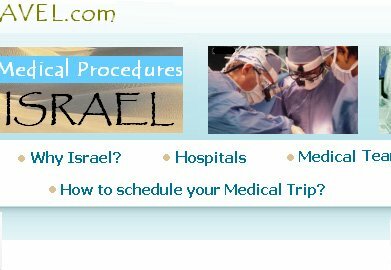 How to schedule your Medical Trip ? 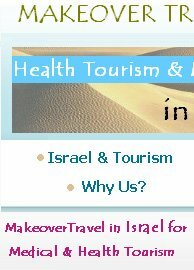 Our priority is to provide integrated service to the patient from his/her arrival in Israel until their return flight home. In this section we will inform you of the steps to continue to schedule your trip. To be able to offer you the best service possible we require that you send us your medical history to determine the best possible course of treatment and whether it is necessary that you travel to our hospitals to receive it. Following the receipt of your medical history we will let you know the Approximate length of time you will need to spend in our hospitals, and estimate all the charges. Once we know your medical needs, we will schedule all necessary physician visits and procedures to use your time efficiently. You, your physician or representative can help us by contacting our office before traveling and providing us with your birth date, medical history (preferably in English), and a way to contact you by telephone or email. You will have to make the first payment via a bank-to-bank transfer. This payment constitutes of 10% of the total package price. If you prefer, you will be able to make your reservation and block the date of arrival sending us the purchase confirmation of your airplane ticket to Israel. That will avoid you to make a bank-to-bank transfer and that will allow you to save the expenses of an international transfer. Therefore you will have to send us the purchase confirmation of your flight, and all the information (date of your arrival , airline company, flight number, hour of arrival. etc). In this case, the total price of your package will have to be paid the day of your arrival in Israel. When you arrive at the airport, a member of our team will be waiting for you and will take you to your hotel. Our representative will speak your language, and he/she will answer all your questions regarding your accommodations and stay. When you arrive at our hospital we will provide you with an interpreter to facilitate communication with the doctors and nursing staff. Your patient coordinator is your liaison to medical Services and to hospital medical personnel throughout your stay. Makeover Travel will assist you and family members accompanying you with travel arrangements including hotel reservations and transportation from the airport. 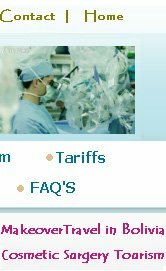 We offer a comprehensive check-up option for international patients. One day check-up is tailored to meet the needs of physician. You also may schedule special tests and appointments with other specialists at the time of you visit. The purpose of the comprehensive check-up examination is to reveal Serious diseases at the beginning. - A detailed questionnaire, about the medical history. - Audiometry – audiological examination. - Ergometry – stress test for the heart. - X – ray chest. - Gynecological examination including paps smear. - Breast examination by surgeon.